As advances in epoxy and silicone materials constantly evolve, manufacturers of advanced electronic systems will find that adhesives offer the ability to meet nearly any combination of requirements for thermal, environmental, and structural stability. As product manufacturers face greater challenges adhesives are uniquely qualified to meet increasingly diverse requirements. 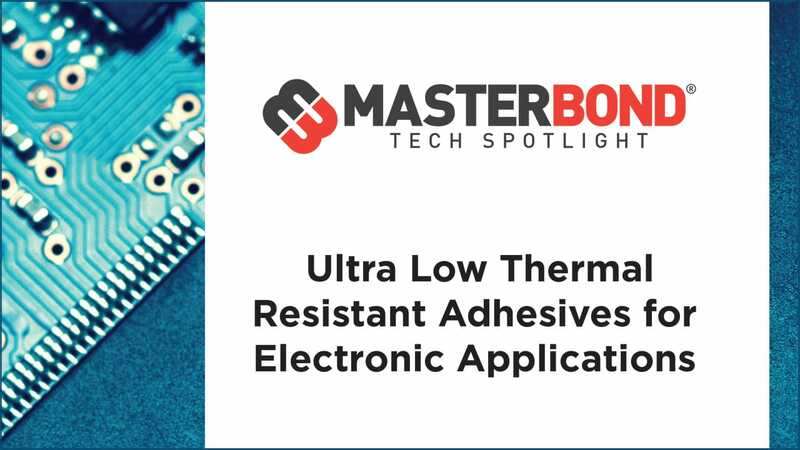 Read Master Bond’s white paper to learn more about why ultra low thermally conductive adhesives are the preferred fastening approach in applications requiring thermal management.